Please bring your own instrument or toy. 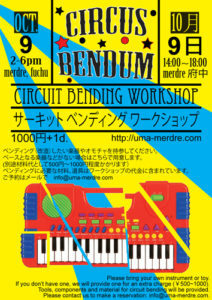 If you don’t have one, we will provide one for an extra charge (¥500~1000). 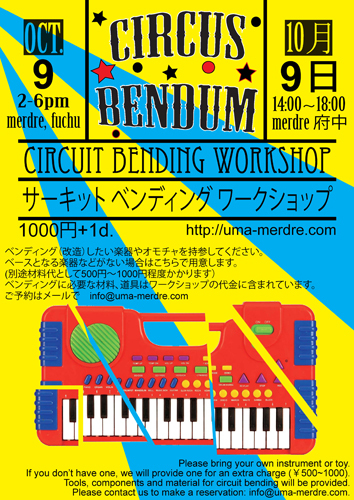 Tools, components and material for circuit bending will be provided. Please contact us to make a reservation: info@uma-merdre.com.